Would you like to install a Walk in shower in your home? 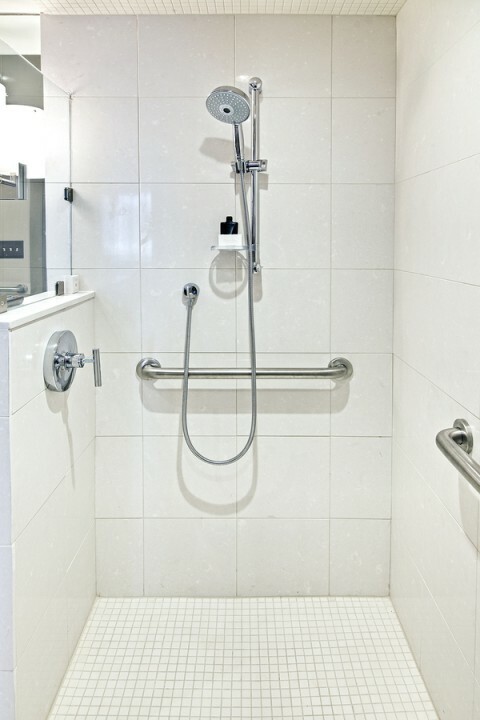 The bathroom safety experts at Independent Home Products, LLC have helped hundreds of people increase bathroom safety and mobility by installing a walk in shower. Walk-in showers are designed for people with mobility or safety concerns or for those who simply prefer a shower over a bath. Advances in adaptive equipment enable the aging population to remain in their homes longer. Independent Home Products, LLC can help your or your loved one regain independence and quality of life by installing a walk-in shower. Walk in showers are doorless showers that have no to low thresholds for easy and safe entry and exiting. Independent Home Products, LLC offers the Freedom walk in shower. These units are specifically engineered to transform a standard tub/shower combo into a beautiful and safe walk in or roll in shower. Independent Home Products, LLC can help you choose the perfect walk in shower features to best suit your needs. Most will fit into a standard tub/shower space, requiring very little structural changes to your existing bathroom. When you choose Independent Home Products, LLC to install your walk in shower, you will be able to safely enter and exit with our low or no threshold barriers. We offer an exclusive water containment system that allows the user to step on or roll over the threshold safely and easily. Supportive customer representatives, fair pricing and quick installation has made Independent Home Products, LLC the nation's favorite walk in tub and walk in shower installer.